Amazing things happen at the beach in the morning hours. The sea overnight has returned the shore to a pristine state, where previous day’s footprints were what you could see for miles. It is especially invigorating to see the sun as it comes up on the horizon, the beauty it projects across the water and the hues the rays create on the water. Astounding! Love! 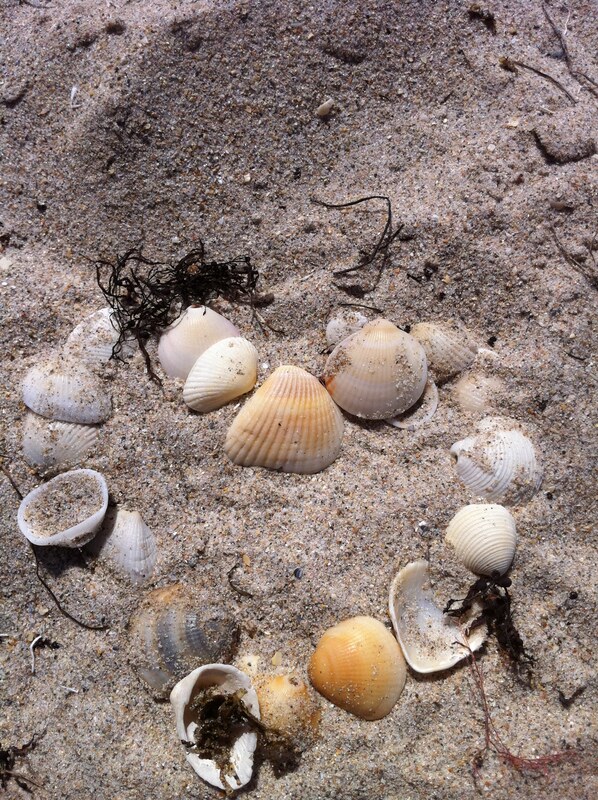 Today as I meditated and then walked, I couldn’t help but see love all around me. I sat and meditated for thirty minutes. As I was settling in a couple of people walked by glancing at me. I brought no towel to sit on. I just wanted to sink into the sand. As I was centering, I noticed a man who passed me walk a few hundred yards down the beach and sit in the sand. When this man passed me, I smiled and said good morning. I couldn’t help but think, did he want to see what it looked like to sit and look out at the beauty and colors the morning was creating? He didn’t stay long, but he took a moment. Along the walk I stopped to talk with a few different people. The first person was a gentleman who comes to the beach each morning with his three-legged black lab. They have been coming for four years. I didn’t ask how the dog came to be without a leg, I just observed the love as this man talked about his experience with this beautiful dog. The dog fetches a stick from the ocean. Simply amazing if you ask me! Further down the beach the other direction was another woman with her dog. I passed her as I walked, and she commented that she was moving slowly this morning. When I turned around to head back to my starting point I encountered her again, this time I stopped, asked her what her dog’s name was and we struck up a conversation. She just needed someone to listen to her, to hear what she had to say, what she was feeling. A common human desire we all have, but sometimes are afraid to open our heart to. The intimacy of listening to another person, or having another person know what we are feeling can bring on a fear of being rejected. You have to accept yourself first, before love can enter and stay. What was really the most enlightening experience of the morning for me is that thoughts, words and descriptions came into my head in waves and then they were gone. Things that described what I was experiencing in that moment. Some of the words I wanted to remember, but they were fleeting. I guess I was in that moment and those words were meant to be left there! As I was leaving to go back to my car I smiled and said good morning to every person I passed. Where the shore meets the sea your footprints are washed away with every incoming wave. 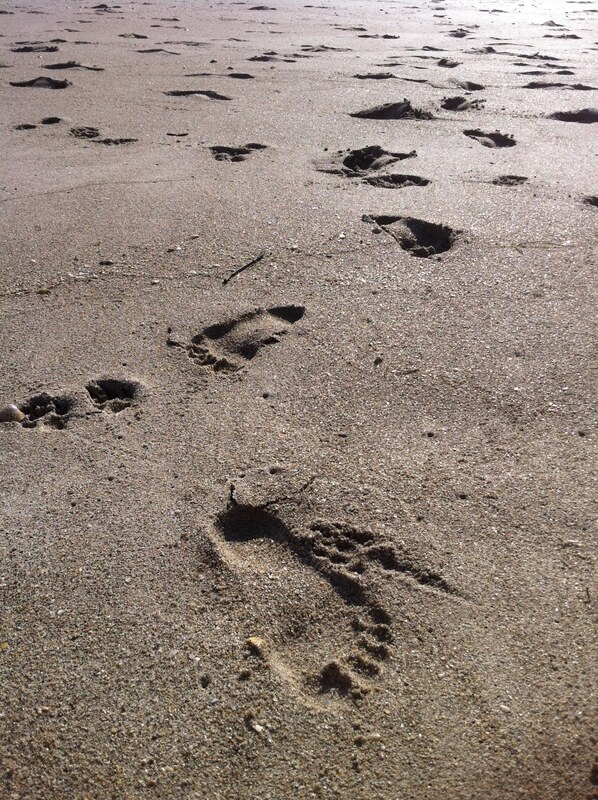 Your footprints are there for that moment, and then they are gone. Learn to find the colors of love in every person and every thing around you. Walk purposefully every day, smile, give love and be willing to receive it.